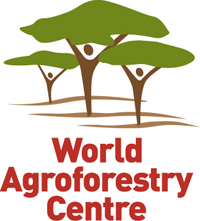 The World Agroforestry Centre (ICRAF) is one of the 15 centres that are members of the CGIAR Consortium. The Centre focusses on increasing the use of trees on farms and in the landscape to improve food security, nutrition, income and health. The Centre has developed three strategic goals for its programme of research for development impact. Transforming agroforestry impacts to large-scale through policies, innovation and partnerships. ICRAF shares its expertise and aims for improved coordination with CPF members within the UNFF themes of: Forest-related scientific knowledge; and Rehabilitation and restoration of degraded lands, and the promotion of natural and planted forests.